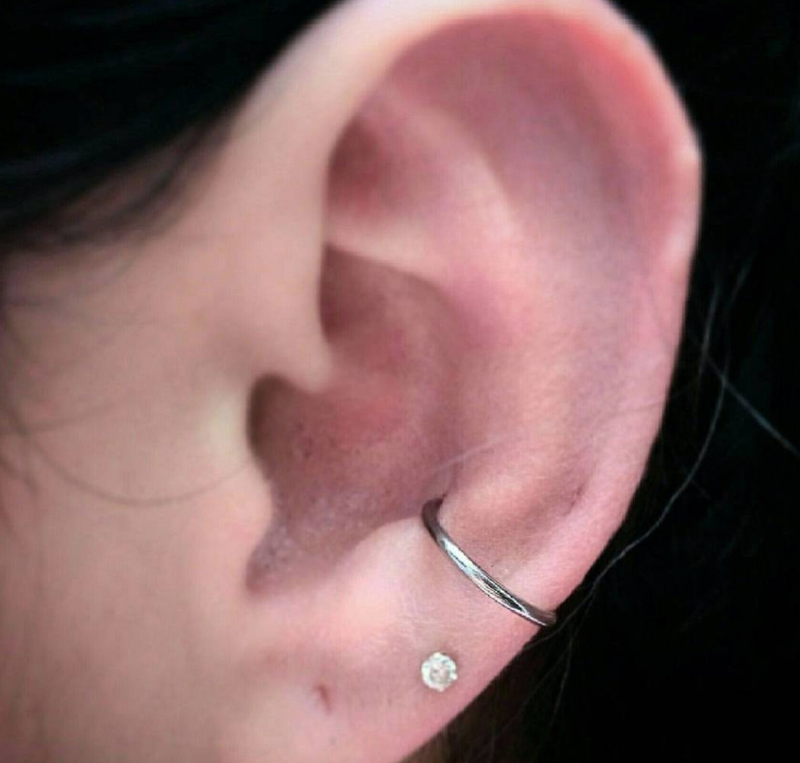 The orbital piercing can be explained simply enough as any piercing where two holes are made in the same part of the body, usually so they can be connected by a captive bead ring. While the basic concept may sound straightforward, orbital piercings are easily one of the most versatile styles out there. The process involves one hole being made with a hollow gauge needle, which is kept in place until the first piece of jewelry is inserted. A second hole is then made and instead of running a new ring through this, the original one is fitted into its place, completing a loop between the two. 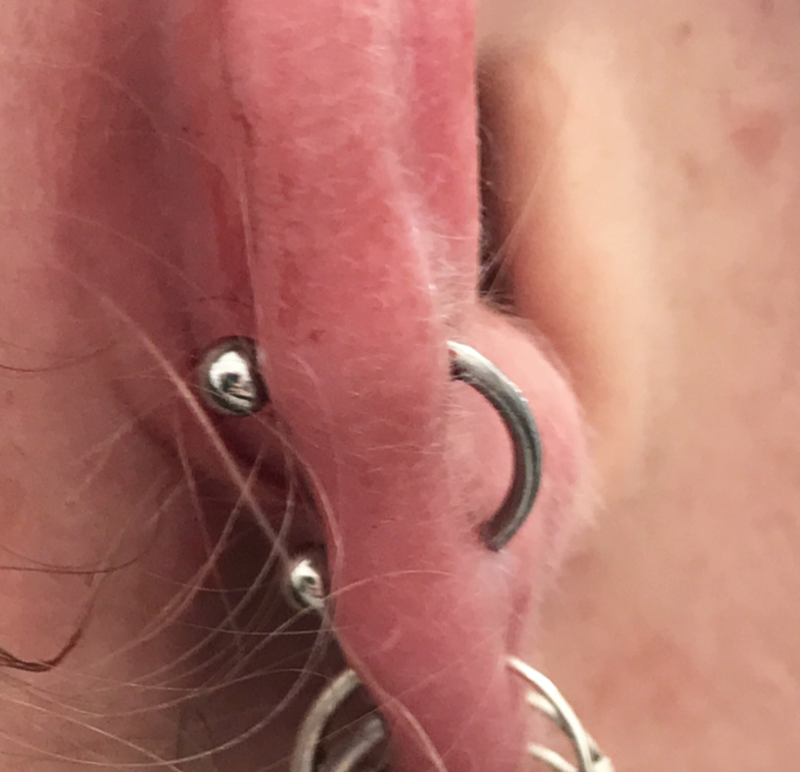 Keep in mind, it’s often a better idea to leave studs in the two separate pierced spots to support the healing process and prevent risk of infection. Recently, orbitals are also being done on the lobe, which can look even more striking. 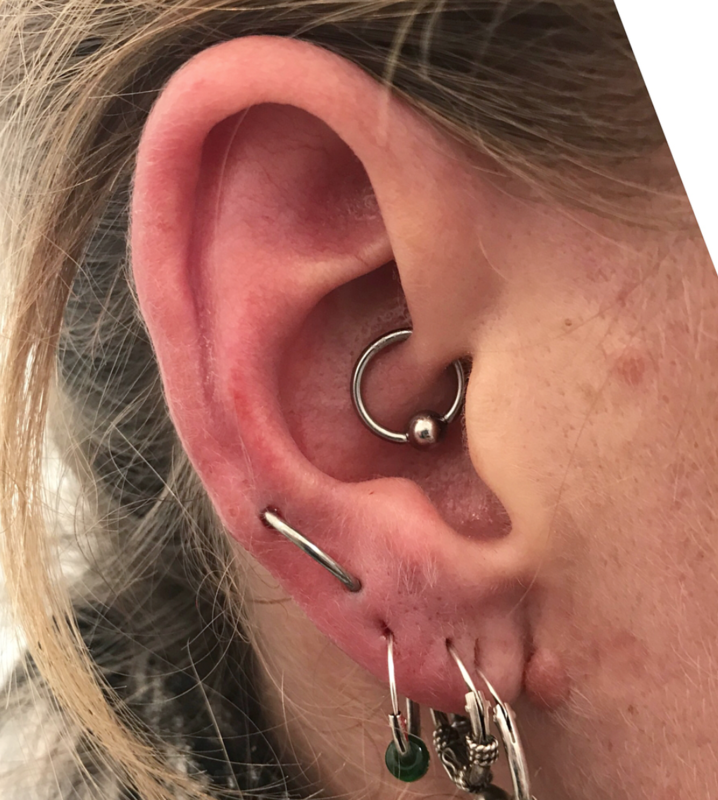 As the angle an orbital piercing pops out at is immediately distinctive – it takes the most conventional placement area for piercings and spins the norm on its head! 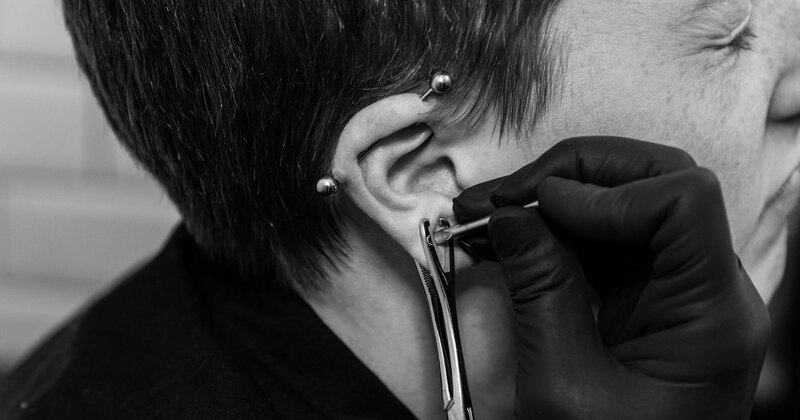 Healing time will vary depending on where you get these done – if it’s the lobe, you’re only looking at a matter of a few weeks before it’s fully healed; if it’s going through cartilage, there are some extra aftercare steps and a longer healing time. Take heed of the aftercare advice the piercer gives you and pretty soon you’ll be rockin this fresh look.